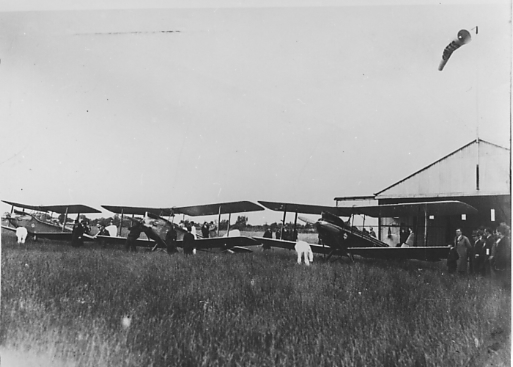 The welcoming party at Baldonnel on 5 September 1930 to greet the first two aircraft to form Hugh Cahill's new aviation company, Desoutter EI-AAD and Gipsy Moth G-ABBV. 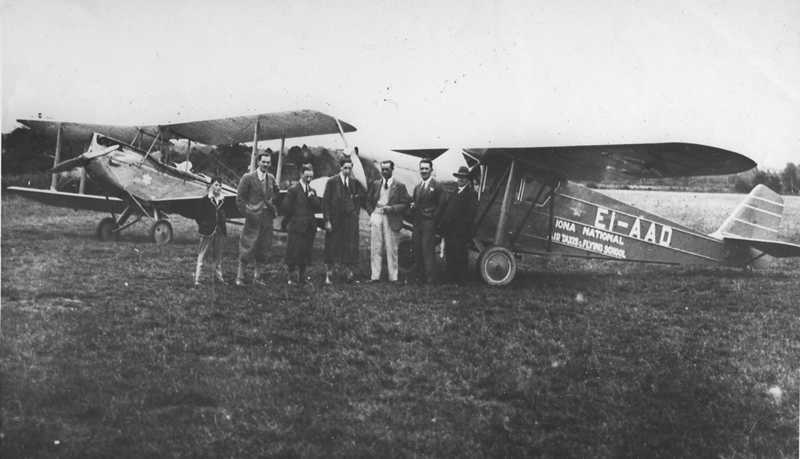 Left to right: Pearse (age 13 years), 3 reporters, L. S. Tyndall (ferry pilot EI-AAD), Jim Malone (ferry pilot G-ABBV) and John Cummins. 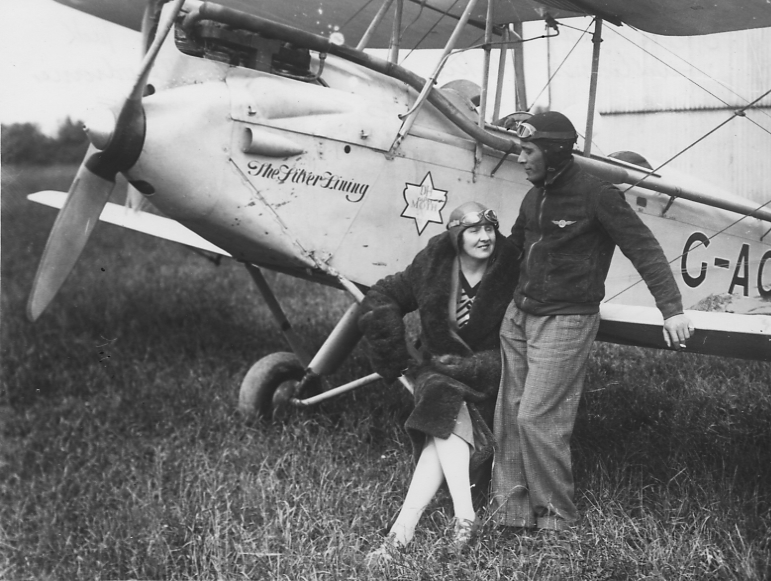 During the late 1920's and early 1930's one the world's most famous aviatrix was Lady Mary Heath. 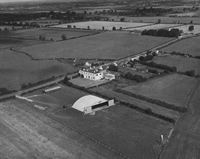 From February 1935 until August 1938 she managed the aviation affairs at Kildonan. 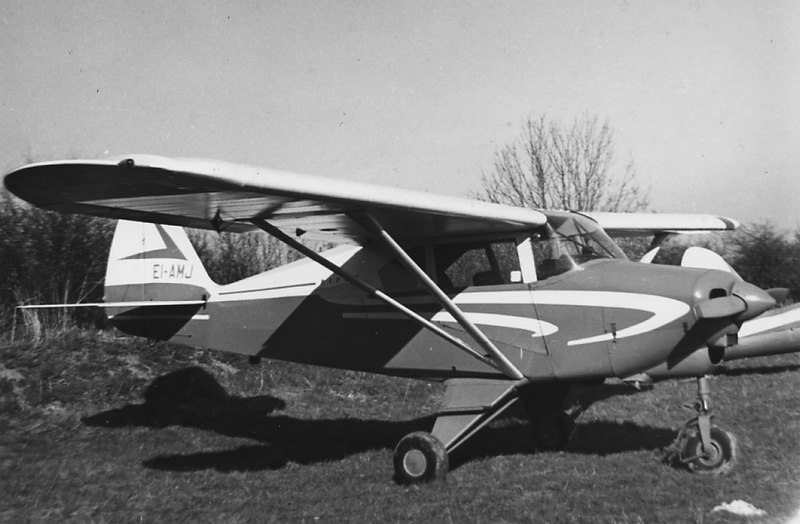 Lady Heath is photographed with her husband, Reginald Williams, beside her Gipsy Moth, G-ACBU, affectionately known as The Silver Lining. 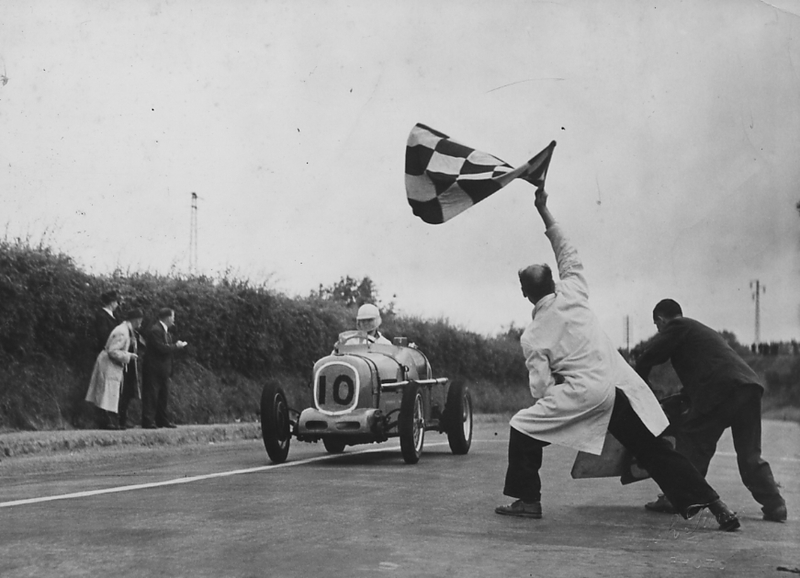 Pearse Cahill crossing the finishing line to win the 1950 Leinster Trophy, on the occasion of it's first visit to Wicklow, 8 July 1950. 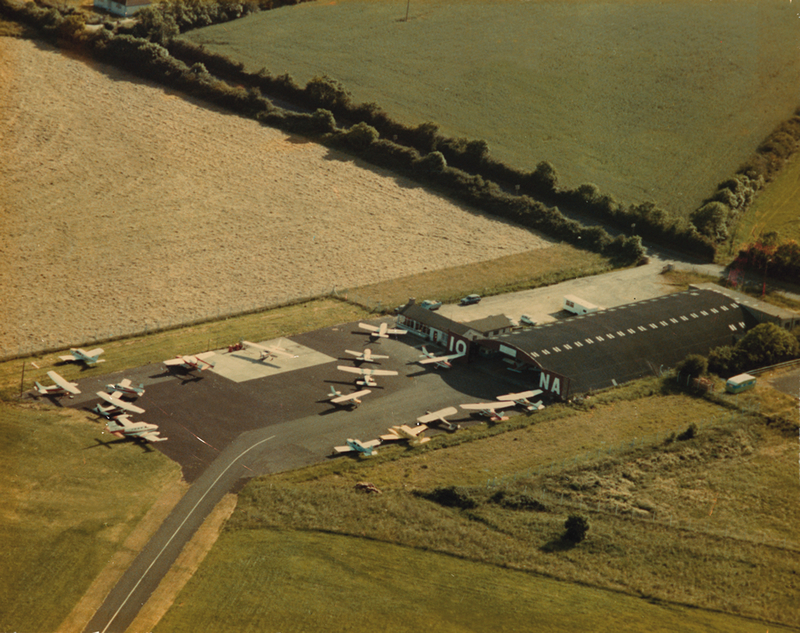 Pearse was responsible for the re-establishment of Iona's post war aviation operations in 1956. 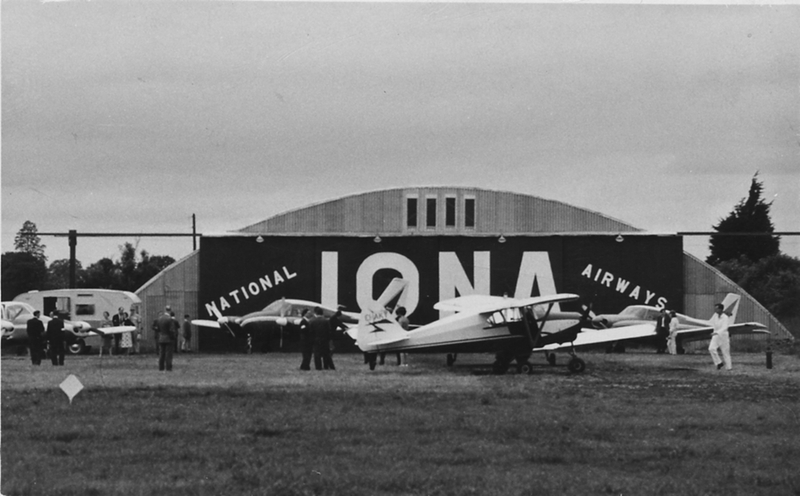 A selection of Piper aircraft on display, for demonstration purposes, in front of the Iona hangar in June 1961. 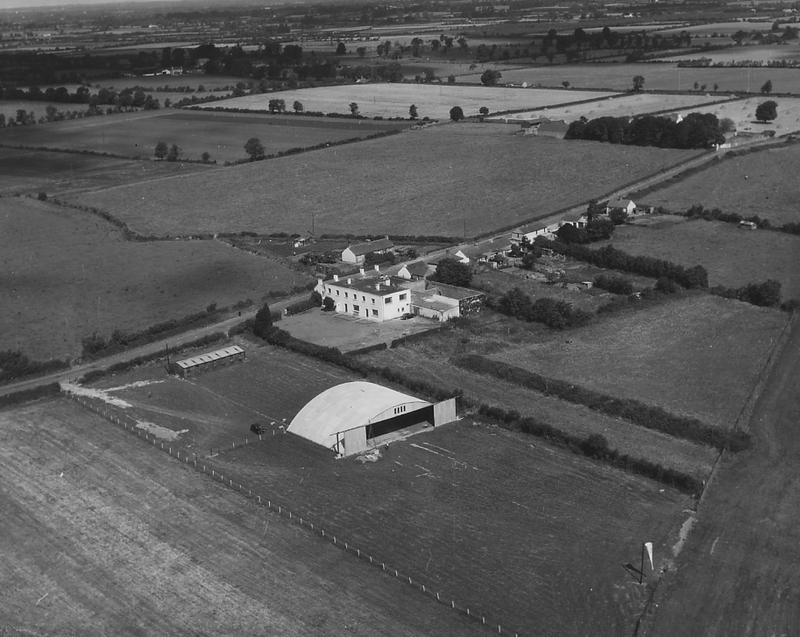 The caravan in the background, served as a clubhouse. Company name now on hangar doors.